Francisco Gella, founding artistic director of the New Century Dance Project (NCDP), invites professional and student choreographers to submit their work to be considered as part of New Century Dance Project 2019 in the Gala Concert on Saturday, August 17 and the Student Choreographer’s Showcase on Friday, August 16. 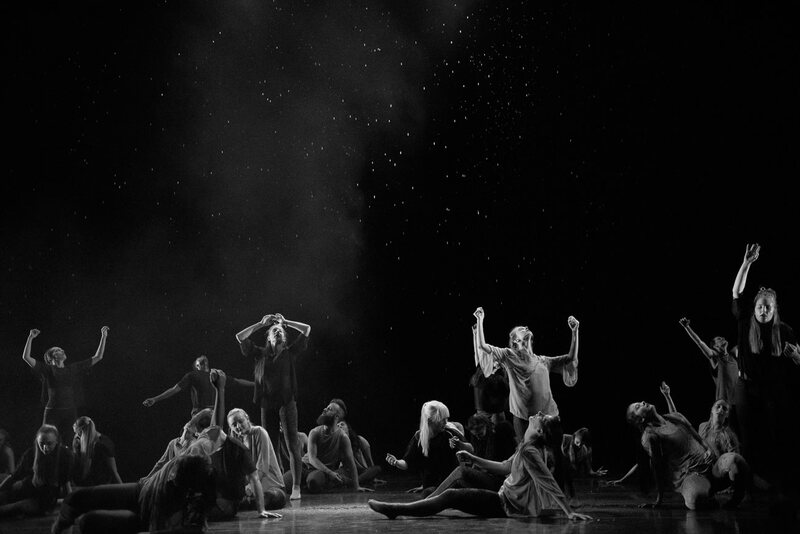 The works selected for the gala will be presented in the 550-seat Jeanne Wagner Theatre in Downtown Salt Lake City, home to resident companies Repertory Dance Theatre and the Ririe Woodbury Dance Company. May submit as an independent entry or under the name of a company (professional or youth). With their expressed written permission, work may be submitted by a company director under the choreographer’s name. Work submitted for consideration MAY NOT include the choreographer as a performer. MFA students who have done professional work prior to their graduate work should submit under the ‘professional category’. At least three years of demonstrated choreographic work. Work may be for youth companies, universities and/or professional companies. The work may be a solo, duet, trio or ensemble. The work does not have to be premiered at the festival however it needs to have been completed no earlier than January 1, 2017. Dancers performing in the video submission should preferably be the dancers who will perform at the festival, however, this is not a requirement. Dancers must be at least 14 years of age. Any exception must be granted by the NCDP artistic director. If dancers are 18 years of age or under, each will be required to enroll as full participants for NCDP on August 13-17, 2019. Must be at least a freshman in high school or currently enrolled in a college/university BFA or BA Dance program as of Fall 2018. Must be currently in training at a studio, conservatory, arts high school, or college/university. College students who apply must be pursuing a BFA or BA in Dance. Work submitted for consideration MAY include the choreographer as a performer. Dancers performing in the video submission should preferably be the dancers who will perform at the festival, however this is not a requirement. Dancers will be required to enroll as full participants for NCDP on August 13-17, 2019. Submit a $250 refundable commitment fee. If the commitment is followed through on, the fee will be refunded after the concert on Saturday, August 13. If students up to age 21 are performing in the work, they are required to register to participate in the festival by enrolling for a student festival pass. This will ensure every student gets the full educational value of the festival program. $2500 commission fee to set a new work on Repertory Dance Theatre (RDT) during the 2019/20 season. In addition, all travel costs will be covered by the company. $1000 commission fee to set a new work at the 2020 New Century Dance Project. The work will be performed on the mainstage for the Gala Concert. Travel costs will also be covered for the choreographer. *Runner-up awards for both categories will include other cash prizes. Calling all choreographers: RDT announces REGALIA Choreography Competition.